It's that time of year again! It's time to start your gift giving list so I wanted to compile a list of my top 5 suggestions from ToniDaley.com for the magical black girls in your life! Or even as a wish list for yourself! These are perfect for the hair fanatics in your life. 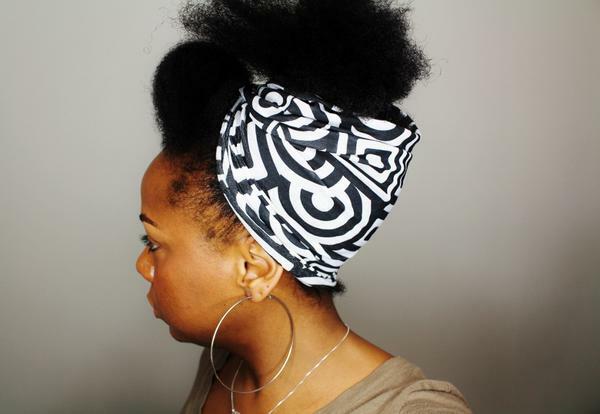 Whether natural or relaxed these satin lined bonnets will protect your hair styles and your hair from damage at night. Currently available in 3 prints and even a few kids sizes left! 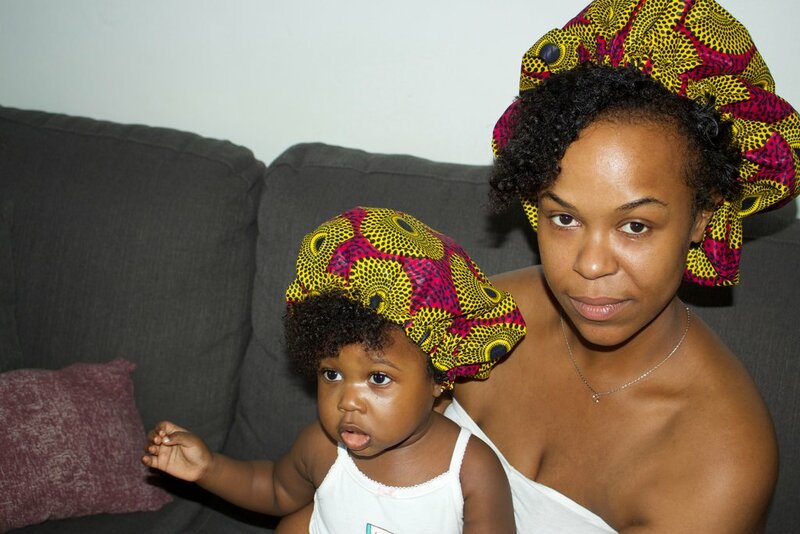 These tube head wraps are super convenient. They make styling easy and are great for locs and loose naturals alike. They can be used for updos, gym days or bad hair days and are inexpensive. Great for stocking stuffers. Nothing says 'I'm thinking of you' more than a custom gift. 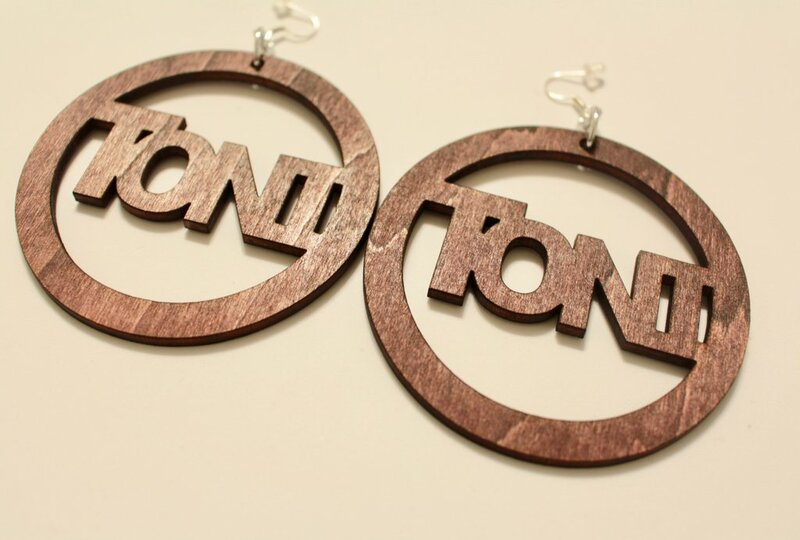 Get a pair of custom earrings for the fashionista in your life for only $20! Custom made with the name/word of your choice. Up to 7 letters, Arial font, Caps Leave name in the special instructions/message to seller box during checkout. This is a super unique gift that is sure to brighten up any room. Great addition to office or living space. 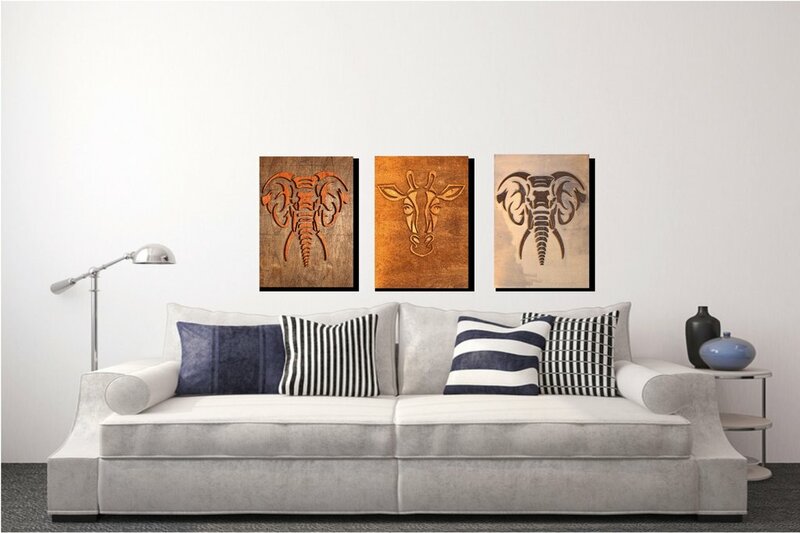 Wood cut art made on a sturdy wooden canvas. The beautiful fine grain of the Birch makes each piece unique. Panel construction is attractively finished so framing is not necessary. How adorable is he??? Ok so I'm not normally a fan of gifting Christmas ornaments for Christmas but I do think there are some exceptions. This would be a great early Christmas present for an office mate or co-worker or if you are mailing something off early to a far away friend or family member. That way they get to enjoy it for the entire season and again year after year! The time has come. 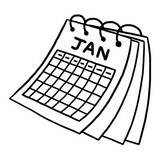 The second half of the year has begun. If you’ve been to the gym lately you may have noticed empty locker rooms and less bodies huddle together near weight machines. Your social media timelines are less flooded with posts claiming, “Girl this is my year”. Maybe the things you have planned for yourself have slowly begun to look like wishful thinking. I’m here to encourage you to not give up. The mid-year slump hits all of us. Here are some tips on how to get back into the game. It is very important to remember why you set your goals. Hopefully, you wrote those goals down at the beginning of the year. Go back and read those goals out loud to yourself. Do those goals still entice you? If not, think back to how you felt when you initially wrote them down. If it still makes you get in your feelings a lil’ bit, then maybe it’s something you still need to work on. There are plenty of distractions in our day-to-day lives but we can’t allow those distractions become more important than bettering ourselves. Okay, maybe you tried as hard as you could to accomplish your goals earlier in the year but things didn’t pan out. I completely understand. It is so easy to become discouraged when we don’t see immediate results. Were you trying to get into shape, but not seeing a difference in the mirror? Were you trying to save money, but pricey roadblocks kept getting in the way? It is perfectly fine to feel defeated but don’t accept defeat. Maybe the plan of action you set in place was not the best one for you. It may have worked for your cousin, your coworker, or your best friend but it’s not the plan for you. Step back and make a new plan of action. Life is full of twists and turns. Those twists and turns can discourage us from making accomplishments. No matter the bad days, unforeseen circumstances, and/or slow progress don’t quit on your goals. Take the time to refocus on the plans you have for yourself. Also, if you need to go back to the drawing board and scrap your old plans then do it! It’s not too late to make 2017 your year girl! 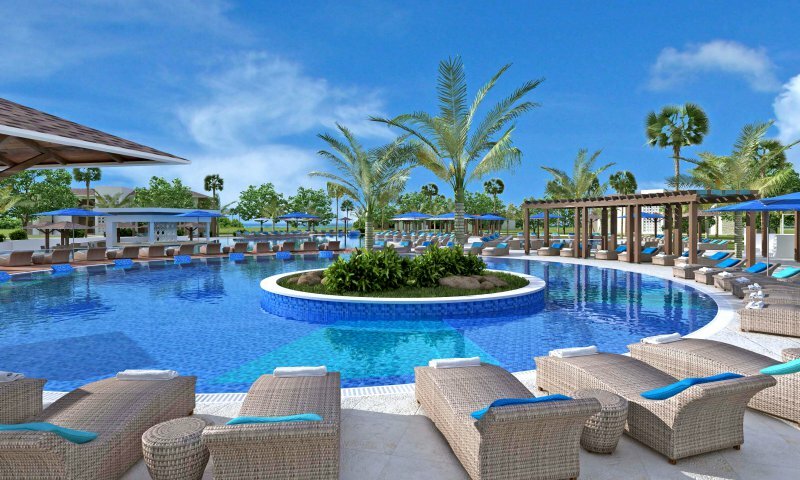 The resort is large, clean and easy to navigate. The landscaping is beautiful and well maintained. Shuttles/golf carts are offered to transport you around if you get tired of walking. The resort beach has white sand and shallow clear waters for almost 100 feet out. There are lots of star fish and crabs so watch where you step but luckily the water is so clear you can spot them easily. The food is what everyone wants to know about. This was my first time in Cuba and I can say the resort food was decent for the most part. The best meals were in the a la carte restaurants which were amazing. I’ve heard many horror stories from people who have visited Cuba and could not stomach any of the food or got sick and luckily I did not have that experience. My opinion is that you have to go higher end to get decent food in Cuba unlike other destinations such as Jamaica where you can go low end but the food is always good. There is a buffet that is open 3 times a day for breakfast, lunch and dinner. There is a lunch grill that offers hamburgers, hot dogs, French fries and other snack foods. There is a beach shack that opens a few times a week for late lunch and offers fried fish or chicken wings. There are also 5 a la carte restaurants scattered across the resort that offer Italian, Mediterranean, Japanese, Gourmet and Cuban cuisine. I was able to try the Japanese and Mediterranean and they were both excellent. There is no room service which was a major con imo. The drinks were all very good and top shelf alcohol was readily available. The staff was friendly, most spoke English although not very well. Maid service was regular and very efficient. There is one large pool and two smaller ones attached. One of the smaller ones is used as a kids pool and the other for water volleyball. 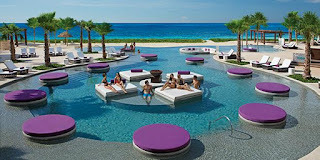 The large/center pool has a swim up bar and lots of seating. There is a nightly show on each evening prior to the disco opening and the Lobby bar stays open 24 hours which was great because we arrived at 5am and started drinking immediately, lol. Overall I really enjoyed my time at this resort. The beach and view were by far the best features of the resort. The downside was lack of room service and lack of daytime entertainment. If you’re considering it I’d suggest trying to catch it on sale. We’ve all seen it. Artists reinvent themselves all the time. The biggest and most notable artist in the past decade would have to be Lady Gaga. Every album is a new opportunity to introduce one of her many personas. Same Gaga just a different outfit. I guess it should come as no surprise when we see product lines doing a little bit of the same. Pantene is a well-known hair care company. They have a large quantity of products available. The idea is that they have something for everyone. The recent addition to their arsenal is the Pantene Gold Series. I noticed the promotion of these new items on social media. When I initially saw the advertisements, I was like, “here we go, another one”. Yes, I felt like this was another large hair care brand that was targeting the natural hair community for profits only. I decided to dig a little to see if this was much of the same. 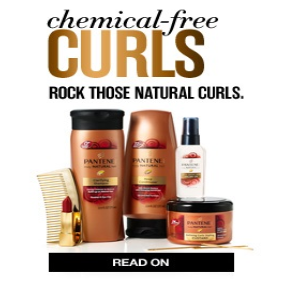 This is not the first-time Pantene has thrown their hat into the natural hair arena. If you remember a few years ago Pantene introduced their Truly Natural products. You can still find these products on the shelves of the larger chain department stores. I’m not sure why Pantene made the decision to create a new line instead of improving on the one they already had that was targeted towards natural hair. I can’t help but feel a little déjà vu with these new items. Some of the most notable products they now have are a leave-in detangling milk, a repairing hair mask and a hydrating butter cream. * Worthy of a Second Chance? 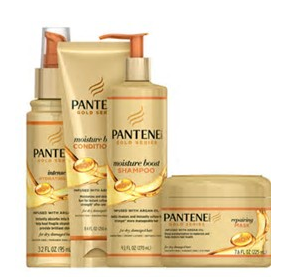 I’ll admit I have yet to try the new products from the Pantene Gold Series, but from my experience trying the Truly Natural product line years ago I am not in a hurry to buy these new additions. The Truly Natural products did little to care for my 4c kinks and curls. But there is always a chance that the team at Pantene got it right this time. So, I am slightly optimistic that they have made a more educated effort to formulate products that will truly work for natural hair and meet the needs of various natural hair types. Have you tried any of the Gold Series? Comment below and let us know. 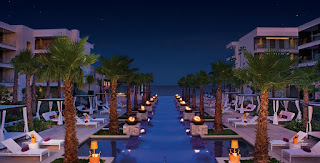 My husband and I had the pleasure of visiting the new Breathless Riviera this January. 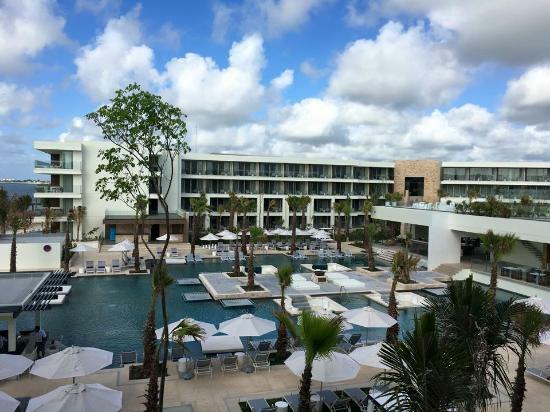 It is a fairly new upscale resort that tries to appeal to a younger trendy crowd. The average patron age seemed to be about 30-45. 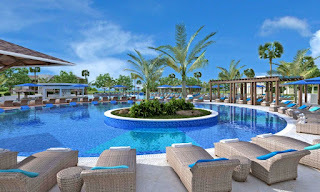 You will be hard pressed to find a more beautiful resort! The resort has a modern, sleek, clean, trendy and upscale feel. Clean white lines and glass, infinite pools with views of the ocean. One of which has a literal unobstructed view with a clear acrylic ledge. The waves are calm but the beach (sand) area is long, narrow and rocky so we didn’t spend much time there. 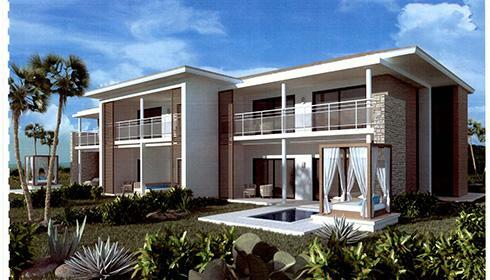 The 3 large pools and 2 Jacuzzi pools made up for it. They are all large beautiful and well staffed. There are several a la carte restaurants with their own specialty (Italian, French, Pan-Asian, Mexican, Mediterranean, and Japanese) None of which require a reservation unless you want the hibachi experience at the Japanese restaurant. FYI, men you will need to bring a pair of pants as most of the restaurants have a dress code and do not allow shorts. There is also a 24 buffet which we frequented most often for obvious reasons. The quality of food really impressed me as most buffets usually seem to be the worst of the worst. The bartenders can make any drink and top shelf alcohol flows freely which is a nice bonus. The staff here is very friendly and always willing to help regardless of whether it is their job or not...they will work to find you the answer and/or the help you need. Maid service comes around 3 times a day so no matter what time you leave your room it will be cleaned at some point. There is always some sort of entertainment going on during the day in the “party pool”: Foam parties, dance lessons, soccer, beach volleyball and pool games. If you want some quiet time the farthest of the pools is the “quiet area” It has a lot of water mattresses and gazebos where you can lounge and catch some zzz’s. 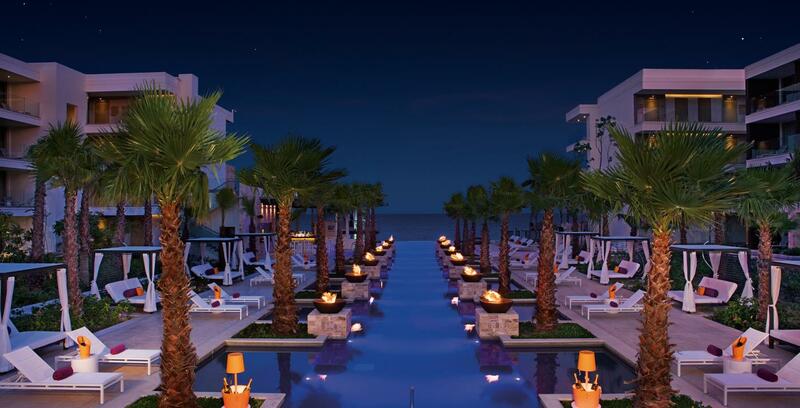 There are also a few fire pits, a Jacuzzi and bar to grab drinks. The best part is that there are so many options available for nightlife. The purple roof top lounge is absolutely gorgeous with a view of the entire resort, a hookah bar with swings and an open air bar. There are nightly shows in the theatre as well as a nightclub open until 3 am. To get to the resort you have to drive down a treacherous 2 mile stretch in your shuttle bus. We’re talking 4 foot potholes, craters and hills surrounded by swamp. If they offer an ATV excursion they may as well do it there. It was a definite deterrent as to why we chose not to venture off the resort and explore the local area around it. We ordered room service for one meal every day and EVERY. DAY. THEY. GOT. IT. WRONG. The slogan of the resort is “welcome to the party” and I think their idea of party means dance music. All day, every day. I have nothing against dance music but it would be nice to hear a variety. You will get some relief if you go to the nightclub which will throw in some top 40 but if your partying at the pool during the day it’s Jersey Shore fist bump 24/7. This post for the new year feels by no means obligatory to me. I think that there is no better time than the beginning of the year to offer a key to making this a successful year for you. There are obvious resolutions that I’m sure you’ve heard of many times before. Maybe you want to lose weight, maybe travel more and of course save more money. Let me offer another, often overlooked, resolution. How about standing up for yourself this year? Now I know you’re envisioning standing in the schoolyard facing off against the school bully. However, I’m not talking about standing up for yourself physically. I’m referring to being the commander and chief of your time and energy in 2017. There are a lot of things in today’s world that crave our attention. There is a distraction waiting for you at every hour of every day. That television show, that social media feed and what’s trending on YouTube. Let’s be honest, it’s not hard to spend hours doing absolutely nothing besides consuming media. And speaking from my own experience I remember times when I had something much more important to accomplish but I wasted valuable time “unwinding”. I wasn’t prioritizing my time and energy. I traded working on goals today for putting them off until tomorrow because I didn’t believe in the value of my time. I needed a reality check. If I didn’t work on my goals who would? If I didn’t stand up to my own love of idleness than I was going to be stuck in neutral. My advice to you…Check Yourself! 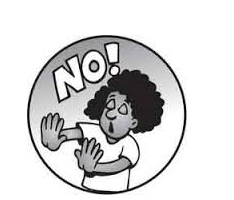 Some people may be great at self-discipline, but not so great at standing ground against others. Think of all the times you had to rearrange your day or week to accommodate someone else’s request. I’m not referring to your kids or spouses’ everyday needs. I’m talking about those things that you know are a waste of your time but you do them anyway because you want to be nice to someone or you want to be accepted into a group or community. You weren’t born with a cape. You can’t do everything. If you know it’s not going to better your life than don’t feel obligated to drop everything and do it. Like the saying goes, “You can’t pour from an empty cup”. Standing up for yourself doesn’t mean you have to become a rigid and selfish person. I think it means you make yourself a priority in order to be successful in your endeavors and to use your time to do the things you enjoy. Ladies unless you have been living under a rock than by now you have noticed that beards are the new “it” look for men. Some might say beards are part of the hipster look and some might say beards are more of a rugged outdoorsman look. My husband has rocked facial hair since we met, so I have to say I am a little partial to it. There are aisles and aisles with shelves filled top to bottom with products made with women in mind. This is not to say that men can’t use these products but let’s be honest here, very few Tresemme hair product commercials have men as the object of attention. Several companies have decided to give men the spotlight by adding products that cater to their grooming needs. My husband has tried a few products for his beard so I thought I would review them for you today. My husband had been looking for a product to keep his beard moisturized. 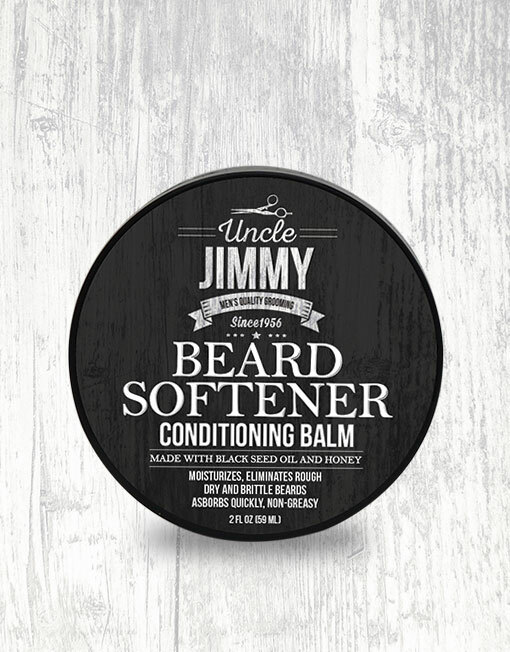 He received from a friend a few sample packets of the Uncle Jimmy Beard Softener Conditioning Balm. Black seed, honey and a blend of essential oils and extracts make up the ingredients list for this product. My husband enjoyed how creamy and light weight the product felt. Once it was applied he said it absorbed quickly and made his beard feel velvety soft. He felt his beard was a lot easier to comb through once the beard softener was applied. The scent was very subtle and masculine. In my husband’s opinion the product lived up to its claim. 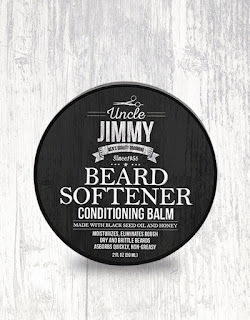 The Uncle Jimmy product line includes Hair, Beard & Body Wash, Beard Oil, Body Lotion, Curl Kicker and Molding Putty. Koils by Nature has been around for quite some time. The company has a reputation for providing products to promote healthy hair in the natural hair community. Their men’s line includes Beard Oil, Beard & Face Cleanser & Shaving Foam, Beard & Face Moisturizer, Nourishing Hair & Body Butter Tranquil Virility and Beard Butter. I purchased the Beard Butter as a gift for my bearded man. I was impressed by the list of ingredients for this product which include shea butter, coconut oil, avocado butter and Jamaican black castor oil, just to name a few. 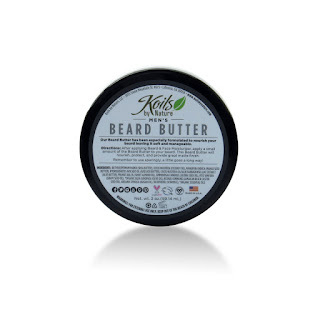 The first few times my husband used the Koils by Nature Men’s Beard Butter he was a little disappointed. Unlike the Uncle Jimmy’s product, Koils by Nature Men’s Beard Butter has shea butter and coconut oil as its main ingredients. Which means the product is in more of a creamy solid state. For the natural hair ladies reading, I’m basically saying the product has less slip. Therefore, it helps to warm a small amount in your hands first and then apply. Once my husband had a better idea of how the product worked best he began to like it. The scent reminds me of baby powder. Which could be a good or bad thing depending on your own preferences. Who knows how long the beard trend will continue. With the cooler months on the way, I can bet that the trend will not be going anywhere soon. These two companies are placing great quality items on the shelves. So the next time you are wondering what to get the man in your life, whether it be a boyfriend, husband, father or brother, consider buying some men’s only products like the two I mentioned. Hey, the fellas want to look good too.